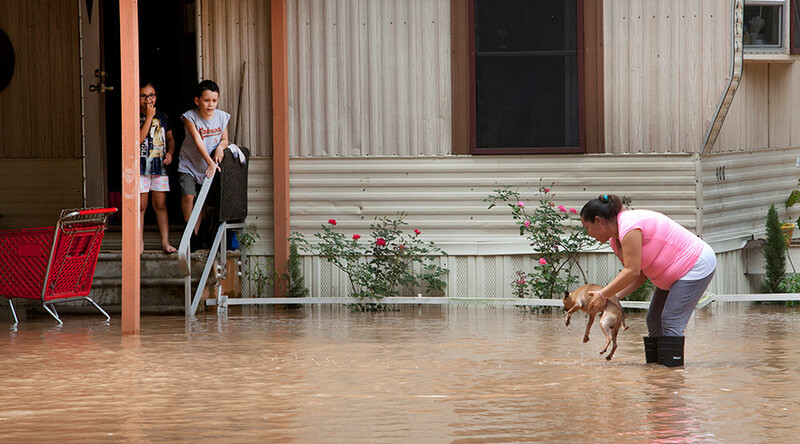 This weekend, more downpours are coming to Texas, where flood levels not seen in over 100 years have left at least 16 people dead since Memorial Day weekend, nine of whom were US Army soldiers posted at Fort Hood. One of those dead was a man found caught in metal bars near a San Antonio river drainage site, police told reporters Friday. 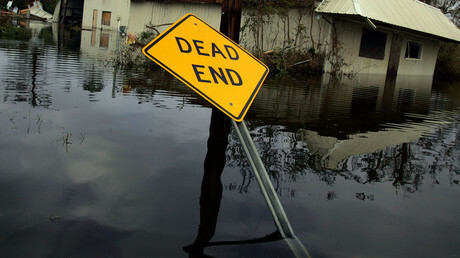 In addition to the estimated 6,000 homes impacted by the heavy rain-induced flooding, three prison facilities had to be evacuated, Texas and US Army officials said during a Friday news conference. After the Brazos River flooded on Friday, the state’s Department of Criminal Justice moved all of its 1,700 prisoners from W. F. Ramsey Unit in the city of Rosharon, which is roughly 30 miles south of Houston near the Gulf of Mexico. About 2,600 inmates from two other prisons were evacuated earlier this week, also due to Brazos River flooding. Meanwhile, rescue teams made up of army and local officials are utilizing boats, dogs, and helicopters to look for any trace of four missing Fort Hood soldiers who disappeared following a vehicle accident on Thursday. The mishap took place during a training exercise along a flooded creek, leaving nine soldiers dead and three hospitalized. 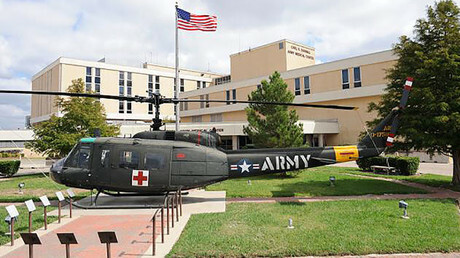 “This tragedy extends well beyond Fort Hood and the outpouring of support from around the country is sincerely appreciated,” Major General John Uberti, deputy commanding general for operations for the Army’s III Armored Corps, said at the press conference, as reported by Reuters. Governor Greg Abbot has announced a state of disaster for 31 Texas counties, and American Red Cross volunteers from Arkansas, Virginia, Wisconsin, and beyond are joining over 300 Red Cross responders to provide shelter, aid, and essential tips to those able to ride out the dangerous conditions. They recommend keeping stocked up on water, food, and fresh batteries. Up to 17 inches of heavy rain is forecasted to hit Houston and eastern Texas this weekend, which will follow the 19 inches the area received the holiday weekend before. Central and southeast Louisiana will be hit by the storms as well, leading the National Weather Service to declare a flash flood watch in large areas of both states. “Due to already saturated soils, even fairly brief, intense rainfall rates can easily cause roadway and low-land flooding over urban areas,” the National Weather Service said.